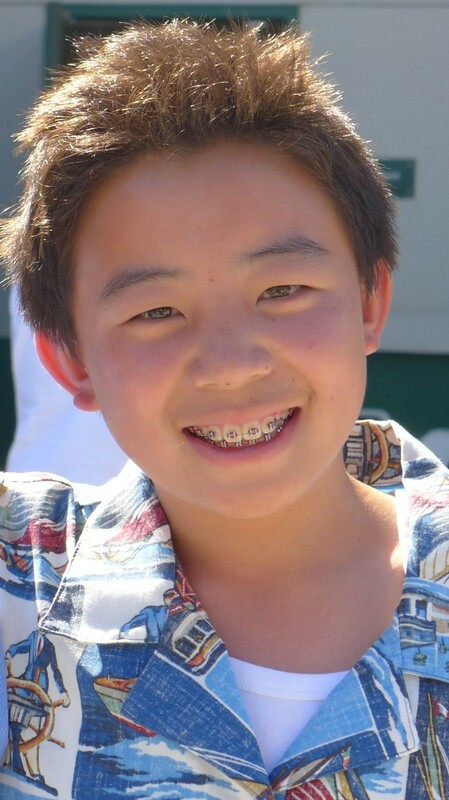 For the month of June our Student of the Month is Warren Huang. Warren is a 6th grade student who receives his tutoring in Chino Hills. He has been working with his tutor Tra-Mi, since early April 2014. Tra-Mi has been helping him improve his writing skills. While working together for the past 4 months, Tra-Mi has seen vast improvements in Warren’s ability to organize his thoughts in a more concise and mature manner. Tra-Mi really enjoys working with Warren because of his unique personality. When asked what it is like to work with Warren, Tra-Mi said, “I would describe Warren as a very imaginative and enthusiastic student. He has lots of personality and makes sure to show it in his work.” Warren manages to turn an activity, which other students might perceive as being dull, into an opportunity to be creative and to have his unique and fun personality show through his writing. Not only does Warren learn in the process, but he also makes it enjoyable for himself and his tutor. Tra-Mi added, “Warren doesn’t do the bare minimum when it comes to completing his assignments, he makes sure that when the readers read his essay, they are engaged. When we work on narratives, his stories are always very creative and fun to read. Even when he’s given an assignment where he has to write about factual events, he always makes sure that he adds in some weird and interesting facts so that his essay won’t be “boring”.” Clearly Warren understands the importance of writing and keeping readers engaged. Tra-Mi has noted vast improvements in Warren’s writing abilities. When asked how Warren has improved, Tra-Mi said, “Warren’s thoughts are more organized, he doesn’t start his sentences with conjunctions, and it’s easier to follow his train of thought in his writing now. He makes outlines before he starts writing and he edits and rewrites when it is necessary.” After working together, Warren has learned how important outlines are in order to help him organize his thoughts and ideas. Thanks to his enthusiasm and Tra-Mi’s guidance, Warren is on his way to becoming an excellent writer. Warren and his family have been a pleasure to work with. He is a really special student who manages to brighten his tutor’s day with his unique and creative take on pretty much any topic. We look forward to continue working with Warren and seeing him continue to develop his writing skills. Congratulations Warren!